"Due to the risks, I avoided mammograms and opted for thermography instead. Dawn is gentle, nurturing, kind, and well informed. The session was easy and fast. 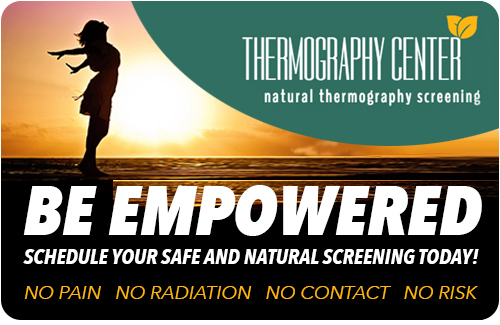 I highly recommend Thermography Center." "I truly appreciate all the time and energy you put into gathering all my health information. I didn't realize how long I was in your office until I was walking out to my car. Thank you for all you have done to help me. Please consider me a grateful client!" "Dawn was wonderful, knowledgeable and compassionate! Her prevention suggestions were extremely helpful and I know I am in excellent hands!"